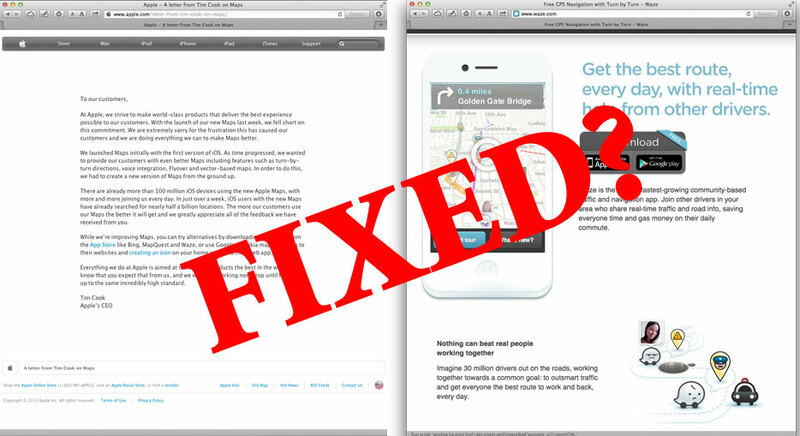 Waze, the traffic and navigation solution App can save the Apple Maps Fail. Ondi Timoner uncovers a solution that just might help to turn around the misguided Apple Maps App on A Total Disruption. Did you hear about Waze, the company that was recently coveted by Apple to help improve its Apple Maps application? Waze is a free social traffic and navigation app for your Android, iPhone or Windows phone. It’s an Apple Maps killer that uses real-time road reports from drivers nearby to improve your daily commute, allowing drivers to build and use live maps, real-time traffic updates and turn-by-turn navigation for an optimal commute. It is also the first startup featured in A Total Disruption, a new series by Ondi Timoner (http://twitter.com/onditimoner), the director and producer of Dig! and We Live in Public, featuring the revolutionary entrepreneurs and start-ups changing our world and the way we live in it. A Total Disruption got a behind the scenes look at Waze, the world’s fastest-growing community-based traffic and navigation application. It’s safe to say that A Total Disruption is on board the Waze bandwagon, the Apple Maps alternative. A Total Disruption found that unlike Apple Maps, it is actually revolutionizing how we navigate. Waze lets drivers in your area share real-time traffic and road info, saving everyone time and gas money on their daily commute. As part of the A Total Disruption series, Waze is more than just a map! As highlighted in the A Total Disruption series, Waze is quite literally reshaping the way we navigate. Sound too good to be true? A Total Disruption thought so too, so we went out and interviewed Di-Ann Eisnor (http://twitter.com/@DiAnnEisnor) who told A Total Disruption that Waze’s goal is to help its users save 10 minutes on their daily commutes. And yes, Waze is more accurate than Apple Maps or built in navigation maps when it comes arrival time.